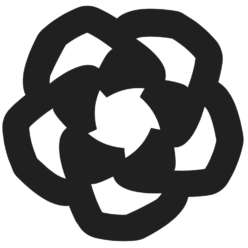 Footbag Net is a sport governed by the IFPA‘s International Footbag Committee in which players use their feet to kick a footbag over a 5-foot-high net on a footbag net court. 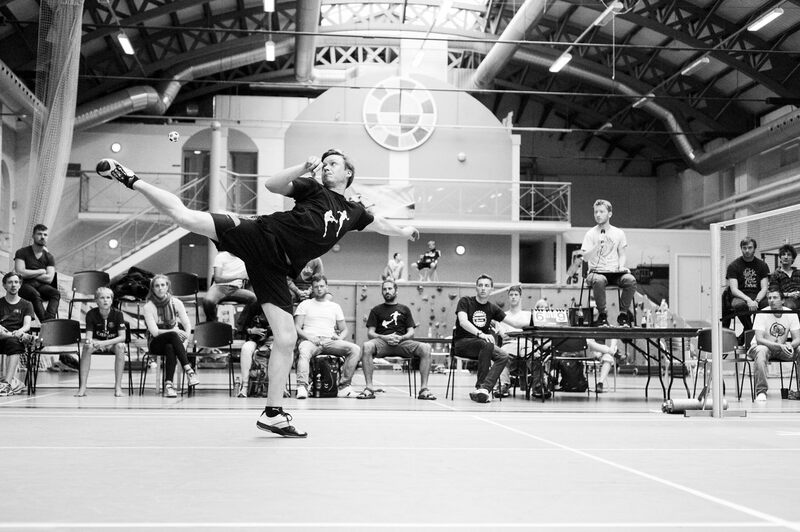 The rules of Footbag net are defined in the IFC’s Rules of Footbag Sports, Article 3. Footbag net combines the coordination of soccer, the court strategy of tennis, and the set-and-spike strategy of beach-volleyball , all while using only the feet. 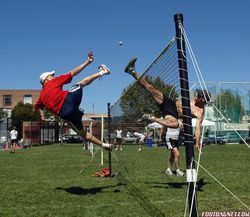 Players demonstrate remarkable agility by spiking the footbag over the net, using either the sole of the foot, a sweeping inside kick, or an outside push. Even more remarkable than the spikes are the “digs” players use to defend against the spikes. Players also block spikes in the air with amazing foot-to-foot battles over the net.